The town dates from 1907 when partners purchased the Hughes Ranch. The 60,000 acre ranch was subdivided into smaller plots and ads were placed in northern papers to attract farmers. A hotel was built for prospective buyers and the community was named Hughes, after the former owner. Farmers from Illinois, Indiana, Kentucky, Missouri, and Tennessee responded to the hard-to-refuse offer of free acreage to those buying a farmstead. In two short years, Hughes had a population of 600. The drilling of a large well for drinking water revealed waters of a medicinal nature and soon the town was promoting itself as a health resort. In 1908 a post office was applied for and the submitted name was Karlsbad, after a famed spa in Europe. The K was replaced by the more Anglo-pleasing C. The town newspaper also took a change of name, switching from the Hughes Headlight to the Carlsbad Headlight. The arrival of the Panhandle and Santa Fe Railway (just a spur line from San Angelo) teased the community into thinking of blue skies and never-ending horizons, but the region was struck by a three-year drought that drove Carlsbad�s farmers and businessesmen away. The population declined to 200 residents served by a single store and by the mid 1920s there were only 150 residents. The population grew to 400 by 1932 but as the Great Depression worsened, the town fell back to 150. In the mid 1940s, Carlsbad had increased its population to 700 � an all time high. 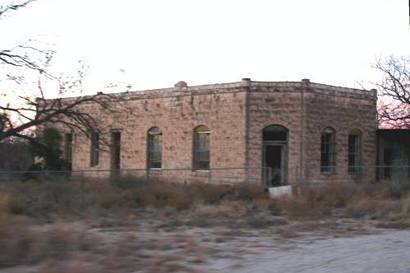 The McKnight State Sanatorium opened in 1950 to take advantage of the dry climate. 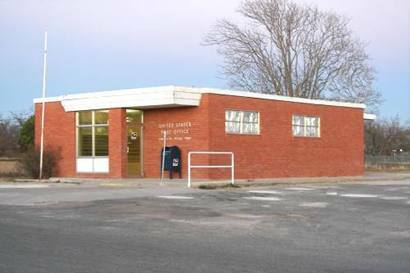 The town population remained at 100 from the early 1950s through 2000.